6 Tips for an Affordable Christmas - Women and Money Inc.
« Holiday Season is here – Shall we go into debt for Christmas? Even though you may be feeling that it’s ‘too late’ to start saving for Christmas now, what are your other options? If you answered ‘credit cards,’ you aren’t alone. It’s easy for the majority of Canadians to fall into the debt trap, but do you really want to start the new year off with a debt hangover? I didn’t think so! 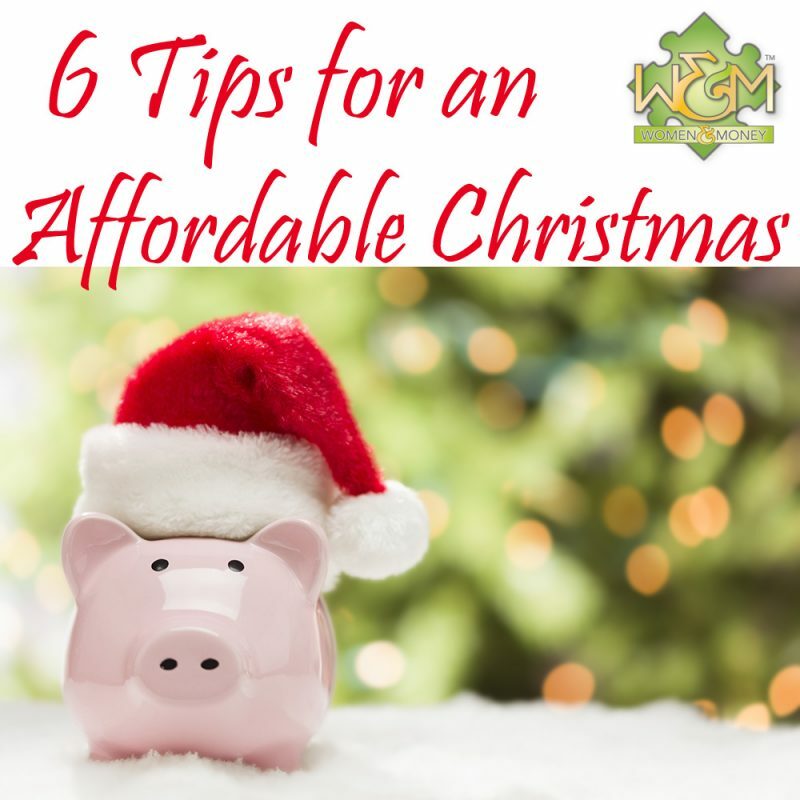 Read our 6 tips for an affordable Christmas. As anyone with a calendar knows, it’s almost that time of year again! Although Christmas is the same day every year, it always seems to creep up on us, almost unexpectedly. It may be because the last four months of the year always seem so hectic – in September the children go back to school, October is dedicated to finding or creating that perfect Halloween costume, and November is about remembering the sacrifices of our soldiers, veterans, and citizens involved in protecting our freedoms. By the time December rolls around, we are exhausted physically and financially. Here are some ways to keep your sanity and your cents about you this Christmas. Creating your holiday budget before you create your shopping list may be the first step to reigning in your spending and protecting yourself from ‘sentimental shopping.’ Try to remember that it’s often not the dollar amount that leads to the best presents – one thoughtful present is more meaningful than five thoughtless ones (and usually less expensive, too!). Also consider that many people are in the same situation as you in regards to budgeting, and understand if you cannot give a gift. A thoughtful and well written card will suffice, or something homemade (cookies, crafts, etc). During the holiday season, it is easy to take on more than we can handle. Between shopping for gifts, planning meals, hosting family and friends, work related functions, Christmas concerts at school, and the general chaos that ensues, it can be exhausting. Don’t take on everything; discuss expectations and plans with your friends and family early to avoid last minute stress. If you hosted last year, maybe it’s time to let someone else take on that responsibility. If you are hosting, consider doing a potluck style of dinner, so that you aren’t stuck cooking for everyone. If you are lucky enough to be attending Christmas at someone’s house instead of your own, don’t forget to lend a hand with the set up or cleanup – it will be much appreciated! If you or someone you know is experiencing credit or debt problems we can help! Contact us at Women and Money Inc. Toll Free 1.877.588.9491 any time. You will be glad you did. This entry was posted in Blog, Christmas, Saving Money. Bookmark the permalink. Both comments and trackbacks are currently closed.